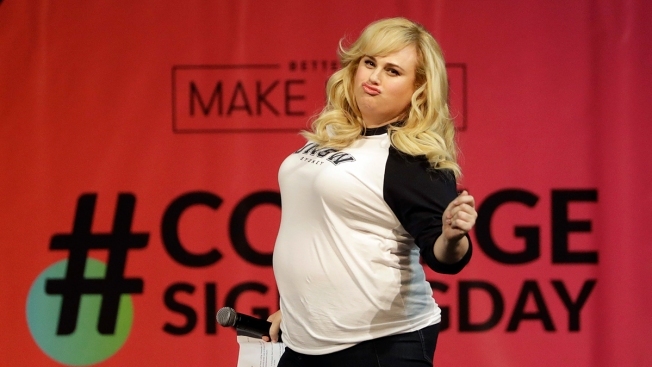 Rebel Wilson has applied to Australia's highest court to increase the comic actress' payout from a defamation case against a magazine publisher. A Victoria state Supreme Court jury found that that German publisher Bauer Media defamed her in a series of articles in 2015 claiming she lied about her age, the origin of her first name and her upbringing in Sydney. But three judges on the Court of Appeal last month upheld an appeal by Bauer and slashed Wilson's payout to AU$600,000 ($454,000). The appeal court ruled that the trial Judge John Dixon should not have compensated Wilson for film roles, including "Trolls" and "Kung Fu Panda 3," which she testified she had lost due to the damage the articles had done to her reputation. She was also ordered to pay 80 percent of Bauer's legal costs in mounting its appeal. Wilson lodged an application to the High Court late Wednesday to restore Dixon's ruling. The High Court registry made the court documents public on Thursday. The Court of Appeal overturned Dixon's finding that Wilson's career had been on an "upward trajectory" before the articles, instead saying the judge had given "a picture of the plaintiff's career trajectory that significantly overstated its success and ignored its hiccups." According to court documents, Wilson's lawyers will argue Dixon was correct, and that he was also correct in finding the articles caused a "huge international media firestorm" affecting Wilson's career and reputation. The lawyer will also argue the Court of Appeal was wrong in concluding Wilson needed to prove economic loss by showing a project had been canceled. A single High Court judge will hear Wilson's application at a date yet to be set. The judge would then either reject her appeal or rule that the full bench of seven judges will hear it.